A $5 postcard. A $10 shot glass. A $20 stuffed alligator with a clever T-shirt slogan. By the time Tween Waters guests return to hometown ports of call, there’s a 50/50 chance one or more have been stuffed in a suitcase to meet the souvenir mandate of cubicle mates and dog walkers. But fear not, sworn enemies of kitschy gift shop convention… there is another option. 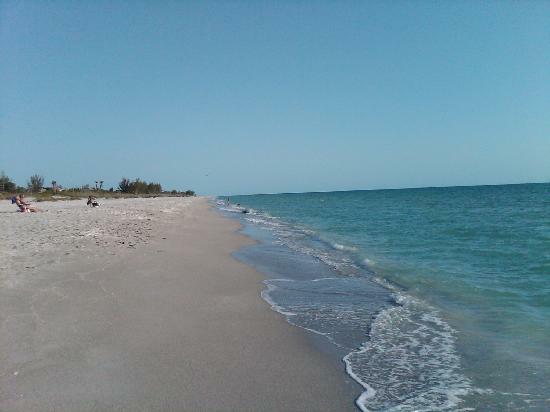 And as vacationer luck would have it, all it takes is a quick stroll across Captiva Drive. Available on the beach – whether the forecast calls for snow, rain, heat or gloom of night – are raw materials for mementoes that’ll evoke your trip at every moment their glimpse is caught. They’re shells of all shapes, sizes and colors. And rather than dropping cash on a bauble forgotten before the sand has left the laundry, even the least handy adventurer can turn them into something special. I took the challenge alongside my bride of 10 years – the former Danielle McIntosh – who vowed it would take no more than 30 minutes to transform a keyboard jockey like me into a jewelry engineer. We headed out on a Sunday with our ebullient near-8-year-old, who was more than ready to charge into the shallow surf with a trusty orange shovel before ultimately delivering the goods – a dozen-plus fragments of pen, conch and clam shells, among others, on which she’d help me work my, errr… magic. I eventually chose the sliver of a Florida prickly cockle shell, and my lady put me to beach-chair work with the small sheaf of materials she plucked from her purse. A small pair of cutters snipped an arm’s length of aluminum wire, which was wrapped around the head of a pair of similarly-toted needle-nose pliers and twisted to create a small loop known as a bail – through which a necklace is strung. From there, the remainder of the wire is wrapped around the shell at the whim of the artist. Following grooves and contours enhances the natural feel of the piece, while a quick twist with the pliers every now and then makes sure the wire will stay tightly adhered, keeping the shell securely stable. The trailing end of the wire can be tucked underneath the existing wrap, or swirled into a curly-q, which delivers a final visual accent without overpowering the innate simplicity. I chose the latter option, though I’ll concede now it was as much to divert attention from the mess as to provide a final touch. Let’s not kid anyone, mine wound up as much jumble as masterpiece. But because there are no wrong answers in art class, a victory was nevertheless claimed. The wife signed off on the finished product without so much as a cringe, which for a moment made me think I might give it another go. Sanity quickly prevailed, though, so I took the symbolic $30 I’d saved on knick-knacks and headed back across the street to treat her to a latte at Tween’s Beans. It’s no bag full of shark’s teeth. But I’ve never been much for seafood anyway.